If you wreck your truck and leave it near the roads by Swan Falls Dam, we will find you. And likely give you a ticket. 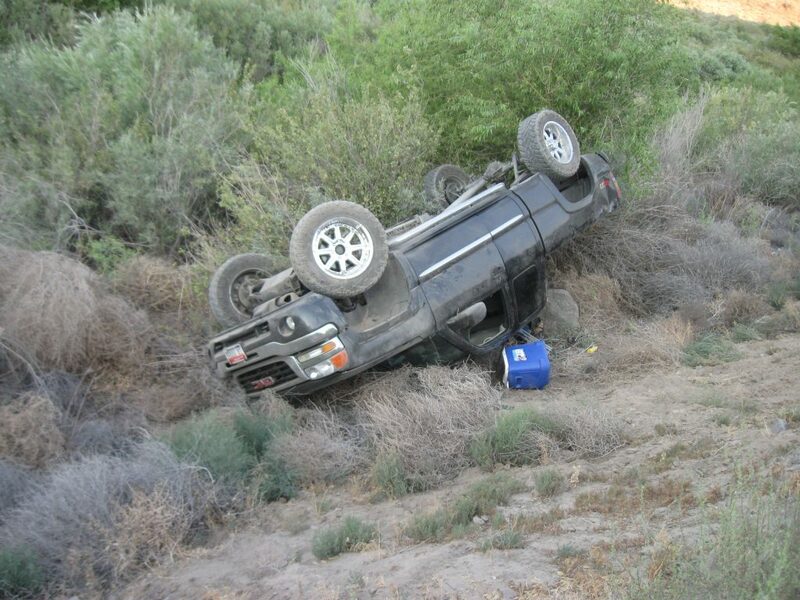 Joey E. Hall was cited for reckless driving and leaving the scene of an accident after crashing a pickup truck near Swan Falls Dam last weekend. When the 2005 GMC Sierra truck was discovered the morning of July 19, it was flipped over on its top, about 25 feet down on the side of the dirt road west of the dam. No one was there. The passenger side window was smashed, and footprints were visible around the wreck. The truck was leaking oil and fuel. While deputies called a tow service to get the truck, they also determined the 28-year-old Hall was the owner of the truck and tried to contact him at his home, but no one was there. Deputies’ first contact with Hall was when he and several other people arrived at the scene around 10 a.m. with a flatbed truck. Hall told deputies was Sturgeon fishing near the dam the night of July 18 and took off for home around midnight. Hall admitted he was driving too fast (30 to 35 mph) on the bumpy dirt road when he lost control on a curve. The truck rolled over, going at least 50 feet down an embankment. Hall said he and a passenger were able to get out. Some other people who were fishing gave them a ride home. Hall told deputies he didn’t think he had to report the crash because it wasn’t on a public roadway. He was wrong. Any crash on any road accessible to the public, with damage in excess of $1,500, needs to be reported to law enforcement. The towing service took the damaged truck to the impound lot.